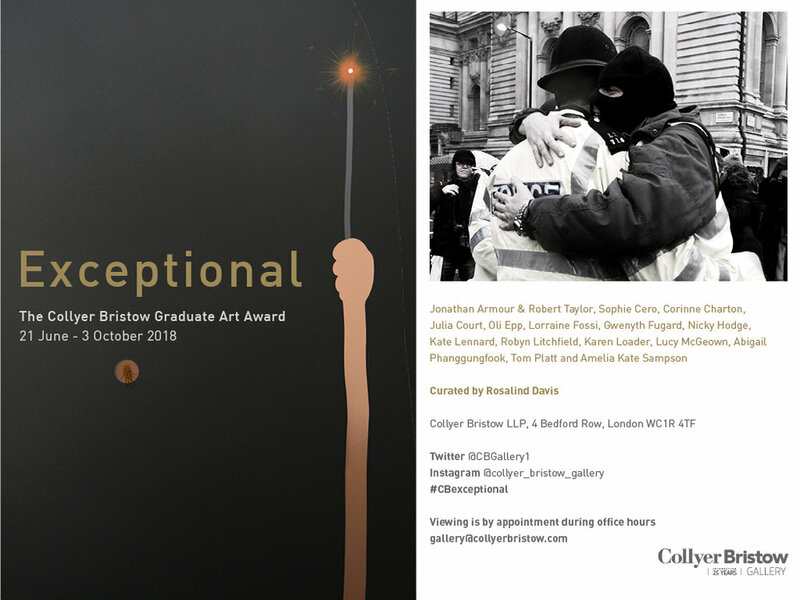 The artists were selected from three leading art schools; Goldsmiths, Middlesex and City & Guilds of London Art School, graduating from their BA, MA &Post Graduate Diplomaprogrammes between 2015 and 2017. Steven Heffer, Head of the Gallery Committee and artist. The winner of the £2000 award was Lorraine Fossi with two artists highly commended: Oli Epp and Robyn Litchfield. The staff prize was won by Robyn Litchfield. Visit the Online Catalogue here which includes the press release, artworks, install shots, press and more!